Please follow the links given below to find appropriate exam section. 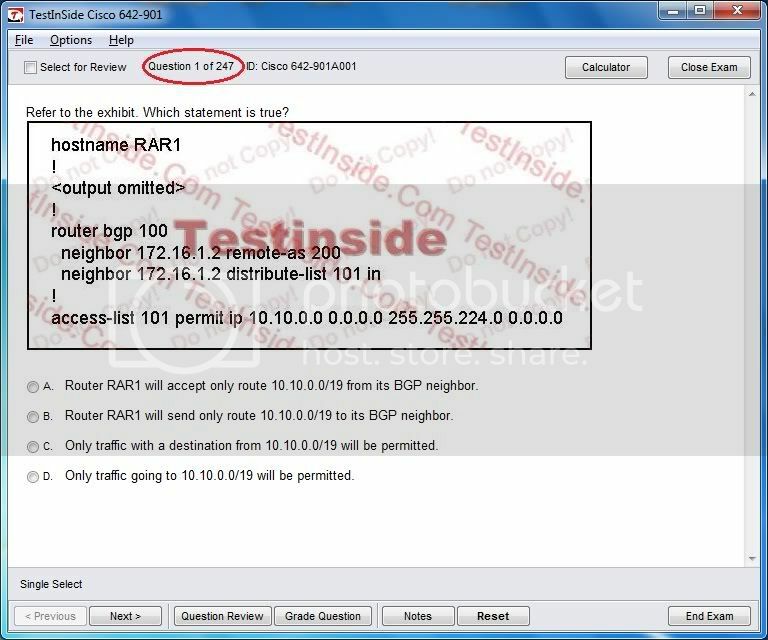 Previous PostCCNA R&S 200-125 Practice Tests BrainDumpsNext PostNo More Paper Certificates from MS!!! 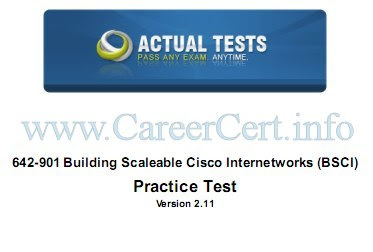 hi can any one share the CCIE SP Book ?? I have my exam next week so I would really appreciate if you could share your dumps. 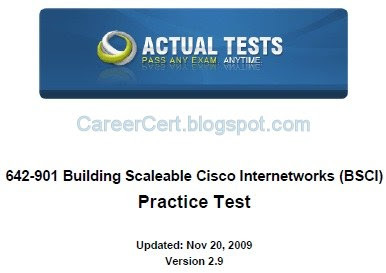 you will get only one certificate after passing all CCNP exams. Cisco does not send certs for individual exams. and one more thing career cert,when i get my ccnp card and real cert? can i get indv cert after passing exam OR when i complete my ccnp after that? hello hello every one .i just pass BSCI exam,and got 910 score cos of routing process lab,coz i didnt touch that lab,guys the paper is so easy and simple the lab are also so simple. 56 Q's in 120 mins. and u may cover it by using testinside 247q.99%. if any bro/sis want these dumps i will share with him/her with any cost. once again thanx all of u for every thing. and carrer cert thanx buddy. ask free for dumps.read it.and rock. 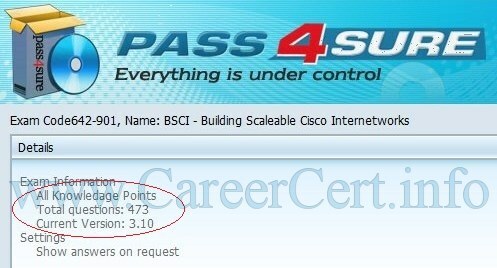 For your information, I passed BSCI using P4S v3.10 Q473 (Bought from GB12 above) on 11 June. You don't need to worry about your card's security because the transaction will be processed by PAYPAL which is most trusted mode of payment worldwide. No one can see your card's information. p4s 642-901 v3.10(the old one) is very very old. It is almost 2 years old. You should not use any other p4s version except latest 473Q. If you can't get 473Q then use Testinside v7.15, 247 Qs. 642-901,,but i worry about the info of my debt card,,just tell me that are the info of my card is secure or not and how i trust you..
i have also p4s 642-901 v3.10(the old one)is it enough for pass the exam. 99% questions were from the 472Q series. Lab question in the above link was also there.. explanation given there is correct.. just configure R2 & R3 with necessary values.. thats it..
if anyone hav any doubts, pls ask me..
once again thanks to you all..
hi careercert!!! i have BSCI exam on 9th of july and i had completed P4S 3.10, any update or any addition to those dumps?? Your best bet is to practice from both p4s and Ti. P4S(472Q + 473Q) or Test Inside or both?? I would be very thankful to you people…..
hi plzz tell me ,i m going to give bsci exam on 31st of june and i m preparing from p4s 472 questions…..??? Hi… Does anyone know if p4s 473 questions still working fine?? The latest version has 473 questions. A new lab question is included in that. pls let me know whether this is he latest. else pls let me know the latest version. Has anyone done the cert reasonaly?. Are P4S dumps upto date ? hi everyone i need BSCI latest dumps if anyone have please send to me. how to contact careercert regarding dumps? Both paypal and moneybookers doesn't support nigeria. There isn't any other payment method. careercert….. i don't seems to be able to get the BSCI GB…. cos Nig is not included… how do i go about it…. i need to this b4 my exam on 30th april…. i sent u a mail but u didn't reply…. i awiat ur rsponse…. Passing marks for CCNP exams are not fixed. It could be anywhere from 78% to 85%. 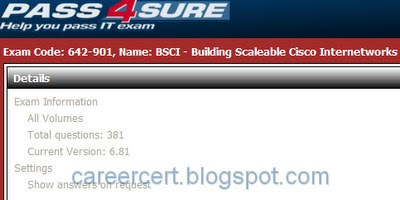 what are the passing marks of BCMSN and BSCI exams ??? The group Buy offer for BSCI 642-901 latest Pass4sure v3.10 (472 Q) is ready now for contribution. @careercert…. that would be great…. please do that fast cos i'll be doing mine on 30th this month….